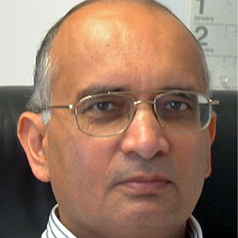 Prof. Ramesh Thakur is Director of the Centre for Nuclear Nonproliferation and Disarmament, Australian National University, Professor of International Relations in the ANU’s Crawford School of Public Policy, and Adjunct Professor in the Institute of Ethics, Governance and Law at Griffith University. He was previously Senior Vice Rector of the United Nations University (and Assistant Secretary-General of the UN). Educated in India and Canada, he was a Professor of International Relations at the University of Otago in New Zealand and Professor and Head of the Peace Research Centre at the Australian National University, during which time he was also a consultant/adviser to the Australian and New Zealand governments on arms control, disarmament and international security issues. Prof. Thakur was a Commissioner and one of the principal authors of The Responsibility to Protect (2001), and Senior Adviser on Reforms and Principal Writer of the United Nations Secretary-General’s second reform report (2002). He is the author/editor of over 40 books and 400 articles and book chapters, and serves on the international advisory boards of institutes in Africa, Asia, Europe and North America. His recent books include The United Nations, Peace and Security: From Collective Security to the Responsibility to Protect (Cambridge University Press, 2006); Global Governance and the UN: An Unfinished Journey, co-written with Thomas G. Weiss (Indiana University Press, 2010); The Responsibility to Protect: Norms, Laws and the Use of Force in International Politics (Routledge, 2011); and The People vs. the State: Reflections on UN Authority, US Power and the Responsibility to Protect (United Nations University Press, 2011). His next major project is The Oxford Handbook of Modern Diplomacy co-edited with Andrew F. Cooper and Jorge Heine (Oxford: Oxford University Press, forthcoming).